The Estonian Final was held on February 21st at the Nordea Concert Hall in Tallinn, hosted by Marko Reikop & Henrik Kalmet. 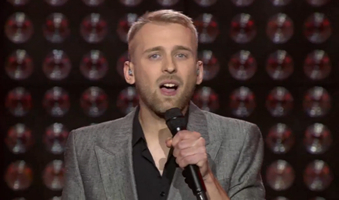 Before the final there were 2 semi-finals - click here for details: ESTONIAN SEMI-FINALS 2015 The winner was chosen in two rounds of voting. In the first round the top 3 songs were chosen by televoting (50%) and an "expert" jury (50%). In the second round the winner was chosen by televoting. Elina Born previously came 8th in the 2013 Estonian Final. Stig Rästa was equal 7th in the 2003 Estonian Final, 3rd in 2004 (with the group 'Slobodan River'), 8th in 2008, 2nd in 2009 (with the group 'Traffic'), 2nd in 2011 (with the group 'Outloudz'), equal 9th in 2012 & 3rd in 2014 (with the group 'Traffic'). At the ESC they came 7th. Robin Juhkental represented Estonia in ESC 2010 as lead singer of the group 'Malcolm Lincoln'.